As part of our topic we learned about decorations that Victorians would have used for Christmas and what traditions we have thanks to the Victorians. On our trip to Cardiff Castle we made a pine cone decoration and a Victorian style Christmas card. We found out that they would make peg dolls to hang on the tree as well as put nuts in bags as little presents. We also found out that Christmas crackers were invented thanks to Tom Smith during the Victorian times. We decided to make some of these decorations ourselves to experience what it might be like for Victorians to make their own decorations rather than buying them from a shop like most of us do today. We had a great time making our decorations and we’re so proud of what we’ve produced. This is the end of our Victorian topic. We have loved learning about the Victorians and we have found out so much about them. We have a lot to thank the Victorians for, especially for some of their wonderful inventions and Christmas trees! As part of our topic on the Victorians we have looked at the artist William Morris. We took his inspiration, which was nature, and tried to create our own repeating patterns. At first we tried to draw our own repeating patterns but we did find it was tricky to make them match exactly. We really enjoyed making our patterns and they looked very effective! We discussed how we really had to concentrate to ensure that each repeat was identical to the one before. We looked at how printing machines were developed through the Victorian era and wondered if this would make a more consistent pattern. In order to try this out for ourselves we went onto Purple Mash to create our own designs. This was a really interesting way of creating repeating patterns, we found it hard to choose our favourites. We then wanted to make our own painted repeating patterns and we decided to use a tile to do this. We carved a picture into a polystyrene tile, rolled paint onto the tile and pressed it onto a large piece of paper. We continued this until we had covered our paper in the repeating pattern. This was a really fun lesson and here are our finished pieces of work, including a close up of each pattern. Thank you William Morris for your inspiration! 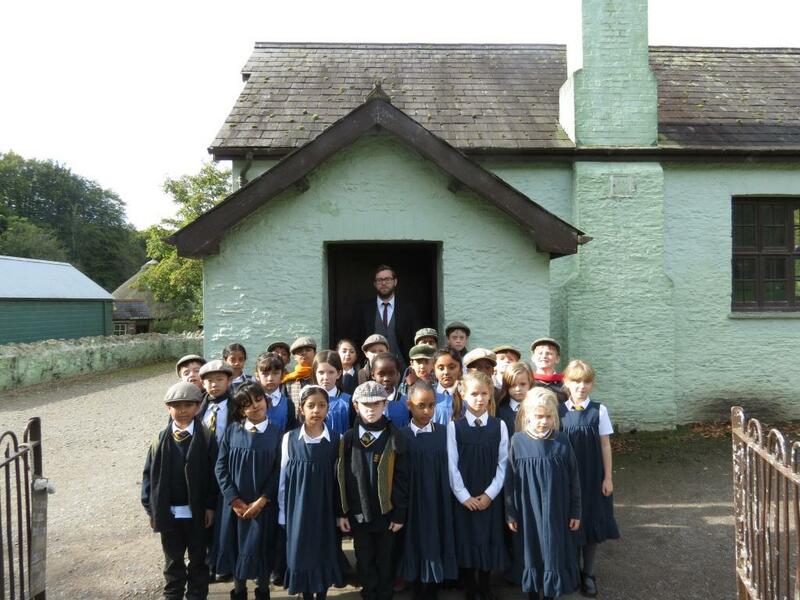 Years 3 and 4 went to St Fagans for a Victorian school lesson. We were taught by Mr Evans who made us do handwriting, history, reading and recite our times tables. We all had to write with our right hand, even the children who normally use their left hand! We were surprised how different our lessons are to the Victorian lessons and we really felt like Victorian children. On Friday we went to a Victorian school at St Fagans. We learned what Victorian schools were like. On the trip we went inside the building and if you talk or behave badly you will be caned. In the playground boys play on one side and girls the other side. In Victorian schools you must write with your right hand and if you speak Welsh you will wear a necklace and your job is to catch another person who speak Welsh and if you do you tell the teacher and they have to wear it and at the end of the class whoever has the necklace will be caned. When we entered the room we were dressed as a Victorian school child. 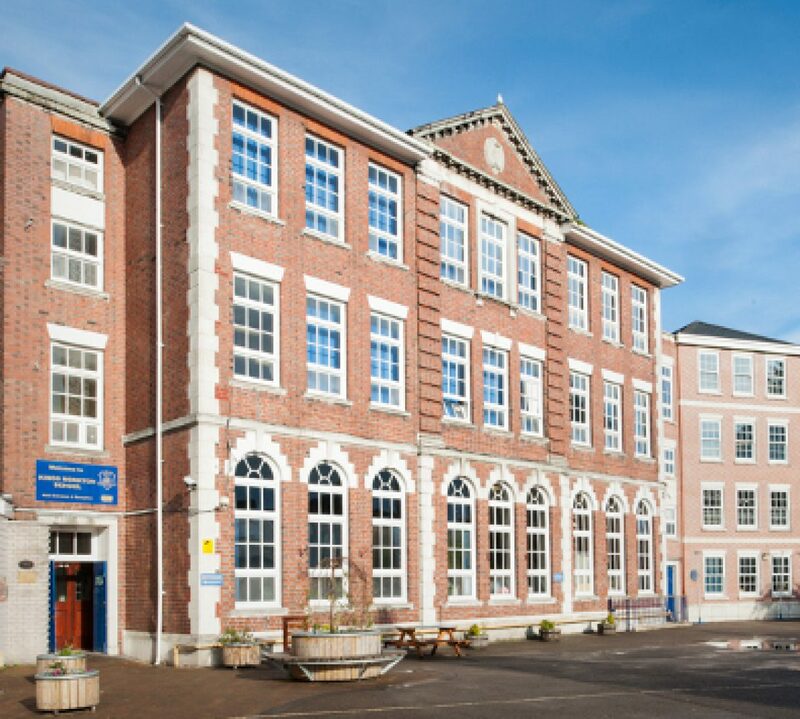 Victorian school children learnt handwriting, maths and reading poems and history. When a grownups enters the room all the children must stand and if you don’t you will be caned. If you write with your left you will get something to stop you writing with your left hand. For lunch you will go home and when the teacher rings the bell that means you have ten minutes to get ready to come back to school and if your late you will get caned.The boys learned drawing and girls learned sewing and cooking. In Victorian schools you have to be five to start and 13 to end school. The bigger children sat at bigger desks and tiny children sat in tiny desks. Victorian teachers were very strict. We had to learn handwriting and you must not fidget or talk. Sometimes if you were very naughty and you would have to write lines 100 times or more. I thought it was very bad and I would not like to be a Victorian. We had a great time visiting Big Pit recently. We completed a workshop called ‘Servants of the Empire’ to learn more about the jobs children might have done in a coal mine during the Victorian times. We then had an underground tour of the mines so we could really experience what it would be like working down there. We went to the ‘Servants of the Empire’ workshop in the coal mine. We were practising pulling the dram and we also touched coal and our hands got black. We went to another room and we went through the pretend tunnel. Mrs Jones told us about what they ate and they ate some simple food like a cheese sandwich. Then we went underground in a cage. Then I saw a real dram with real coal. It was really cold down there. When Mr Wayne told us to turn our lights off it was really dark, I couldn’t even see my own hand. We went to the horses stable and Mr Wayne showed us a picture of a horse dragging coal on his back. Then Mr Wayne showed us how the well works by touching two wires together. I ring means stop, 2 rings means come in and 3 rings means get out. After the bells Mr Wayne showed us a mandrel, an axe and a shovel. After that we went to see the davy lamp. Finally we went to the King Coal exhibition. It was a movie about mining coal. It was telling us about how to get the coal with a chainsaw. They even showed us explosions like gas and fire. On the 18th of November the whole class went to big pit. We were testing different drams to see if they were heavy or light. Drams are wooden crates which they used to pull the coal. Our whole group tried to pull the drams. One dram was hard because it had no wheels. one was easy because it had wheels. The instructor said to us in the Victorian times the wood was not as strong as the wood now. He said if one snapped all of them snap. at the end we got a goody bag. In the goody bag there was a key chain, a pencil, a rubber and a note book.The key chain was of a helmet that you wear underground. Helena told us that there was a girl called Henrietta who was 11 years old. Helena put us in to groups of 3. I was with Ffion and Alexandra. We got to touch real coal. After that we pulled a big wooden box it had fake coal but it was still heavy . I did like but it was scary it went really fast for minute. On the 18th of November 2016 year 4 went to Big Pit. We went because we wanted to learn about the poor Victorian children who worked in the coal mine. A lady called Helena taught us about the children who worked in the coal mine. Older children pulled a drams which was full of coal these people are called carters. Younger children opened and closed the doors these people are called trappers. Helena said we have to be detectives because she said we have to look for a real person in the Victorian times so we looked at some clues and we found out her name was Henrietta Franklin she was eleven years old and she was a carter.We tried to push a dram but it was fake coal but it was still hard I can’t imagine being in the coal mine. We put coal on our face because we wanted to see how dirty we could get and when we held one piece of coal it was light when we held the hole box of coal it was heavy. Men and women had to wear hats and t-shirts. They had metal lunchboxes because they didn’t want rats to eat their lunch and if they had glass lunchboxes because they could break and go pointy and it can go into your feet. They never had plastic lunchboxes because they were not made. They also had metal bottles for the same reasons as the metal lunchboxes. Helena told our group that coal was a tree millions of years ago and we were amazed. She also said that the coal was really dirty. On another clue it said it was wet and damp in the coal mine which I would not like. Helena said some people didn’t like the job that they did. We tried to pull some different drams and some were really heavy. The first dram was really light the second dram was kind of heavy the third dram was really heavy. Then we went into a tunnel it was really dark and it said some words. Helena said that the Queen made a law that children under eleven are not aloud to work in the coal mine. But it wasn’t good news for Henrietta Franklin because she is eleven so years went on and the Queen made a law that women were not aloud to work in the coal mine. Helena told us that Big Pit was a coal mine and I was astonished that Big pit was a coal mine. We learnt that men had to bath in such small metal baths. On another clue it said that Henrietta broke her ribs because a horse fell on her and she could not go work for two months so she never got any money for two months so maybe she couldn’t have food or she can’t afford a house which would be a really hard life. Helena told us that some people told some other people to be directives and on the clues Henrietta was actually speaking to the directive. I think speaking to a directive is pretty cool. Helena told us that little kids had to go up a slope with a dram and down a slope with a dram which is pretty hard.I think that if you work in a coal mine then you can die because the coal can give you a disease or if you are a trapper you can get injured because you can go to sleep and the dram can come and hit you. Helena told us that they did not have wheels because the owners did not want to get wheels because it costed money. The rich people probably owned the coal mine and the poor people had to work but they didn’t have to work because they could work as chimney sweepers or they could work in the factory but I would not like any of those because they are dangerous. Helena said that you have to use your feet and not your knees because you would burn your knees if you used your bare knees.Then it was lunch . After that we went to a holding room to put our belts on and we wore hats with lights. Then we went to the main shaft the main shaft is basiccly a lift but it is called a main shaft and you don’t have buttons you have to pull it with a rope but we never did that because a man working there did it for us which was pretty helpful. After we went down to see the coal mine it was really really dark. I was kind of scared at the beginning but then I realized there was nothing to be scared of. The man who was teaching us was called Gus. Gus led us into the coal mine there were two wires he said that if you do it twice it meant that you can go and if you did it once it meant stop. Then there was a wierd thing it had two buttons one was red and one was green if you pressed the green button it meant go and if you pressed the red button it meant stop this is the new version and the one that had the wires was the old version. Then we walked and saw some stables the stables were empty because they were dead Gus told us that horses were treated better than men because they costed money and children did not. They bought candles for the horses and if children could not afford it then they had to work in total darkness. The last horse who was there was called Impact he worked until 1982 the people went on strike then the queen said they should not do this and no one worked there ever again. Then there was a big machine Gus did not say the name but it was very very cool so you step on this thing and then some machines move but sadly we did not see that because that was to danegerous. Then there was something like a tunnel at the top of the tunnel there was some wood Gus said that the wood always burned and fell down and it could hit people’s head so they thought that was safe but then there was a then there was a metal thing and it did not fall down so they thought it was not safe but now we know it is safe. Then Gus told me to wear a mask which helped you not smell smoke. Then we went to watch a movie and it told us about coal mines then we went to the shop got goody bags and went to school inside the goody bag there was a keychain a notebook and a pencil and a rubber then we went home.